[Jesus said, "The Father] cuts off every branch of mine that doesn't produce fruit, and he prunes the branches that do bear fruit so they will produce even more. You have already been pruned and purified by the message I have given you." God is at work in the vine and in each individual branch of the vine. He does exactly what is needed so that the vine, and each individual branch, can be productive. He longs to enjoy the abundant harvest from a healthy vine. He works with each branch so that it achieves its maximum production. 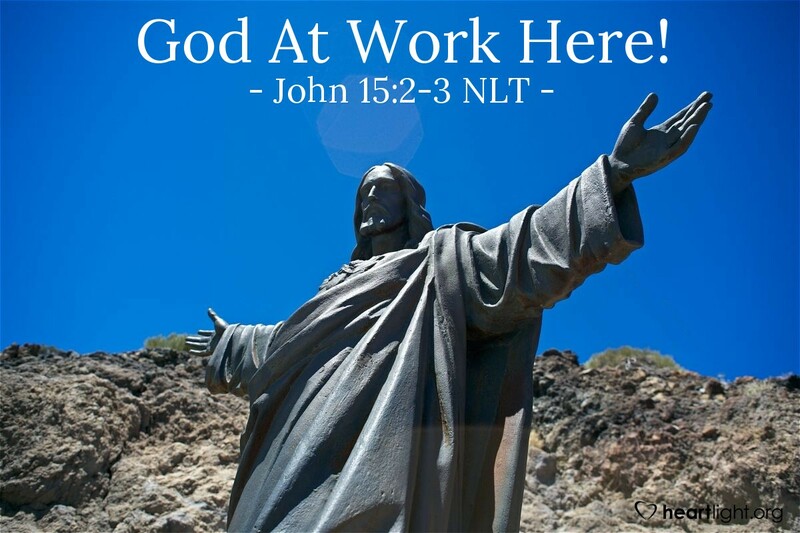 How is God working in your life right now to make you a more productive person? What is he doing to help you find truly abundant living? Dear God, my Father in heaven, I ask you to correct me and mold me to be the person you want me to be. Make my life count. Discipline and nurture me as is needed to make my life joyous and productive for your Kingdom and your glory. In Jesus' name, I pray. Amen.